Venice was once described as “undoubtedly the most beautiful city built by man,” and from these pictures it’s hard to disagree. 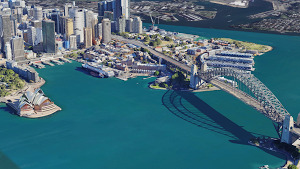 You can now explore panoramic imagery of one of the most romantic spots in the world, captured with our Street View Trekker technology. 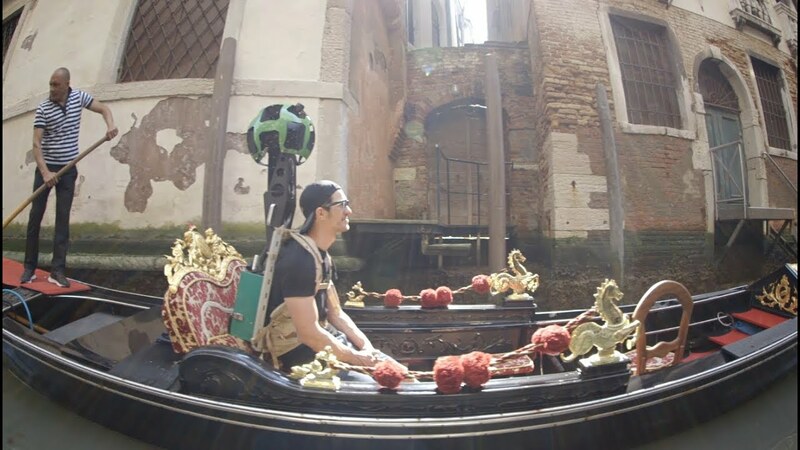 It was impossible for us to collect images of Venice with a Street View car or trike—blame the picturesque canals and narrow cobbled walkways—but our team of backpackers took to the streets to give Google Maps a truly Shakespearean backdrop. 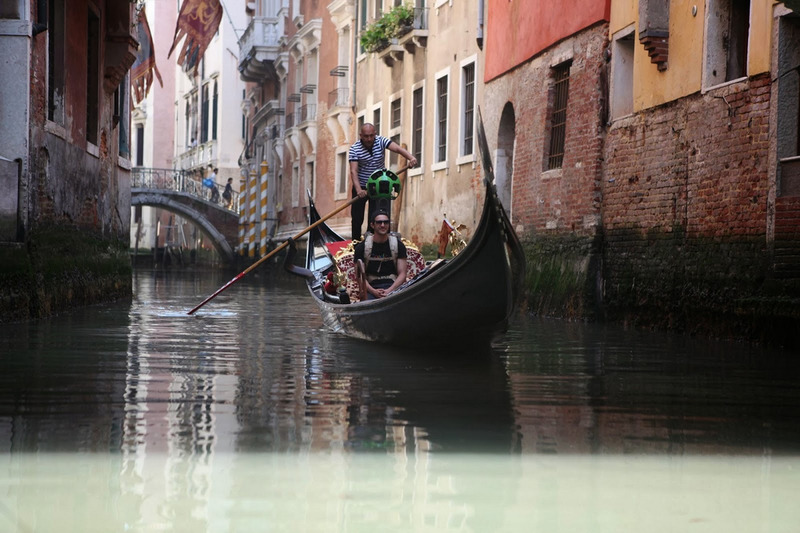 And not just the streets—we also loaded the Trekker onto a boat and floated by the famous gondolas to give you the best experience of Venice short of being there. 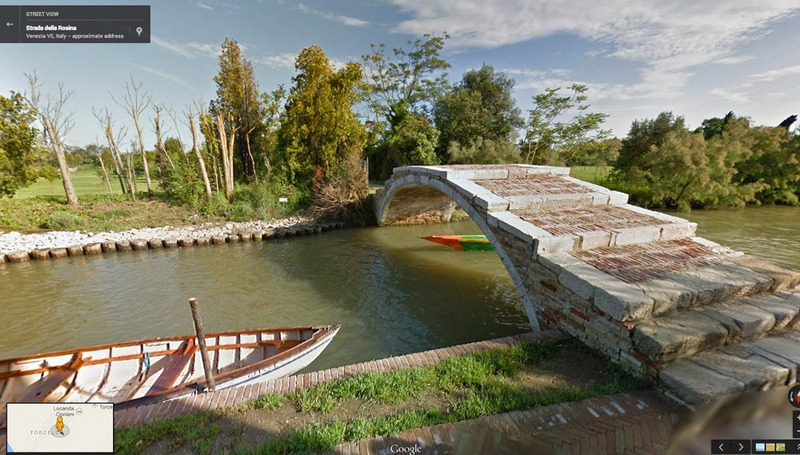 We covered a lot of ground—about 265 miles on foot and 114 miles by boat—capturing not only iconic landmarks but several hidden gems, such as the Synagogue of the first Jewish Ghetto, the Devil’s Bridge in Torcello island, a mask to scare the same Devil off the church of Santa Maria Formosa and the place where the typographer Manutius created the Italics font. 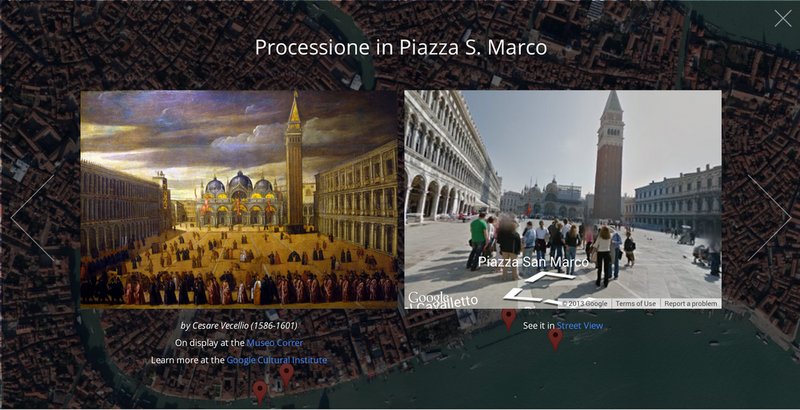 Unfortunately, Street View can’t serve you a cicchetto (local appetizer) in a classic bacaro (a typical Venetian bar), though we can show you how to get there. Once you’ve explored the city streets of today, you can immerse yourself in the beauty of Venice’s past by diving deep in to the artworks of the Museo Correr, which has joined the Google Cultural Institute along with Museo del Vetro and Ca’ Pesaro - International Gallery of Modern Art. 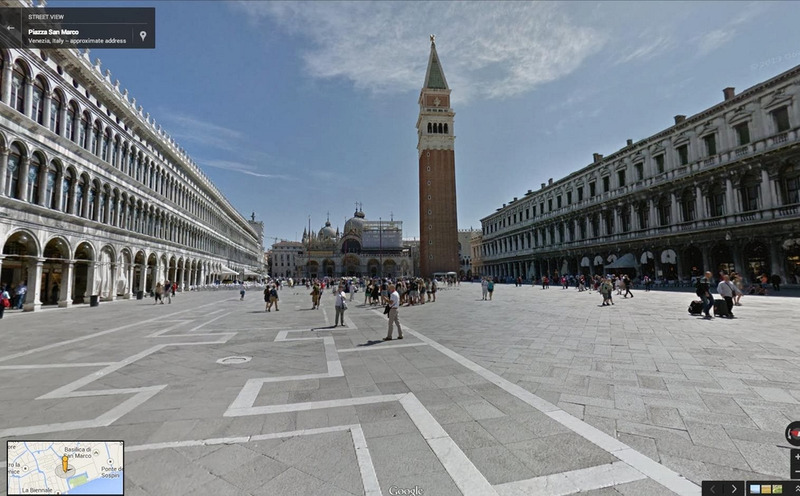 Finally, take a look behind the scenes showing how we captured our Street View imagery in Venice. 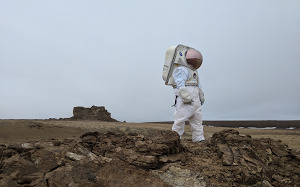 The Floating City is steeped in culture; it’s easy to see why it’s retained a unique fascination and romance for artists, filmmakers, musicians, playwrights and pilgrims through the centuries—and now, we hope, for Street View tourists too.